In some way, I KNEW I would do a Lucario tribal one of these days and, well, here it is! 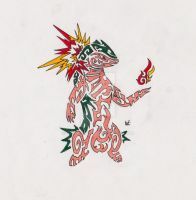 In some ways it is similar to the Mewtwo tribal I did way back when... It would've been all too easy to put together a bunch of tribals into a Lucario form, but Lucario has such *aura* that it wouldn't do justice to the character not to incorporate this somehow. 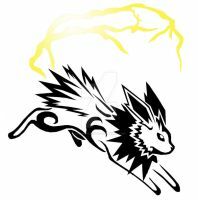 In my design I tried to show this in the head/sensor things, and most importantly the paws/arms, where I modified the spike area into an aura channeling whatever you want to call it. Considering white space was super important in this design. The bottom half is more 'grounded.' If you've ever seen Lucario in the anime/movies, when he uses aura all the power comes from the hands. The legs are strong and stable, as is the protocol in many real life martial art forms as well. And of course, everything is gravitating to the core/center. Hey do you have a warriors amino, so.eone is posting this art as theirs. I want to know if they art stealing your art or not. I really love this picture because it's of my favorite Pokemon. Is this OK to use as a profile pic? may i draw the lucario and a few others? i think it would look really cool in my sketchbook. not for me to sell or anything, of course. Sorry about the thing where lots of people are stealing the Tribal. That really stinks. But it looks like it was taken down. Thanks for the notice! This was posted without credit. Please report them. Your work is very lovely, I'd hate for others to take credit for it. Filed a takedown notice. Thank you, I appreciate it! They also have X and Y variations of the same image. Unfortunately it is a common occurrence. Thanks for letting me know! I just knew I had seen this somewhere here! 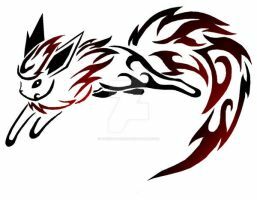 I found this tribal while searching for inspiration to a new tattoo and found it on this site here. I don't know if you have put it there yourself or whatever, but I felt like I had to tell you since I didn't see any watermark on it. I'm glad you recognized my art! But the link isn't working for me? Try the one under? I did a relpy on my own comment when I saw the link didn't work. Do you only do pokemon? Because a flame swordsman would be greeeeeeat. 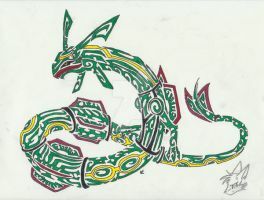 I've always loved the Tribal art style. This has only reinforced that love. It seems to be gone. Thanks so much for letting me know though! This comment is to inform you that another deviant has uploaded your artwork seemingly without permission. Please view the offending deviation at the link below. I have already reported this offense to deviantART. However, feel free to submit your own report for perhaps a quicker response. I'd appreciate that, thanks so much! It doesn't seem to exist anymore so hopefully someone reported it. But thanks for bringing it to my attention! Yes, I believe they were reported. I can't believe someone would steal this! Actually, I can. This is really epic! Maybe jealousy? Anyway, really good.